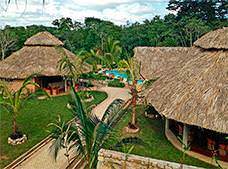 Axkan Arte Palenque is a hotel with a lush setting just 5 miles from the ruins at Palenque featuring a charming green design and convenient facilities. 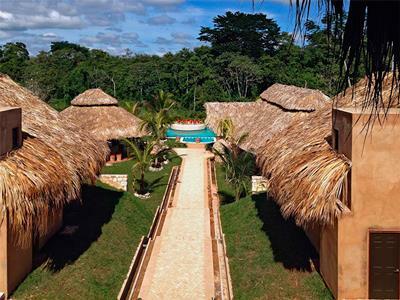 On the premises you'll find a charming restaurant serving authentic Mayan cuisine, a swimming pool, and lush gardens, as well as art and cultural displays. 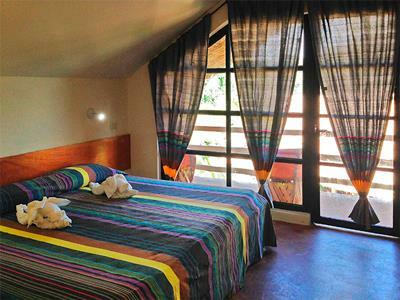 The guestrooms at the property are spacious and comfortable, featuring all you need to rest and unwind in this incredible jungle setting. These air-conditioned rooms complete with comfortable furnishings and private balconies or terraces, as well as other useful amenities and services.